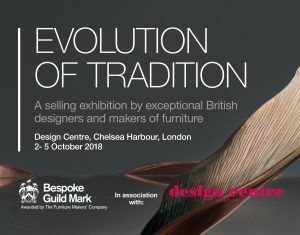 The Timber Trade Federation is pleased to partner with Evolution of Tradition, a new selling exhibition of luxurious bespoke furniture launching this autumn at Design Centre, Chelsea Harbour. 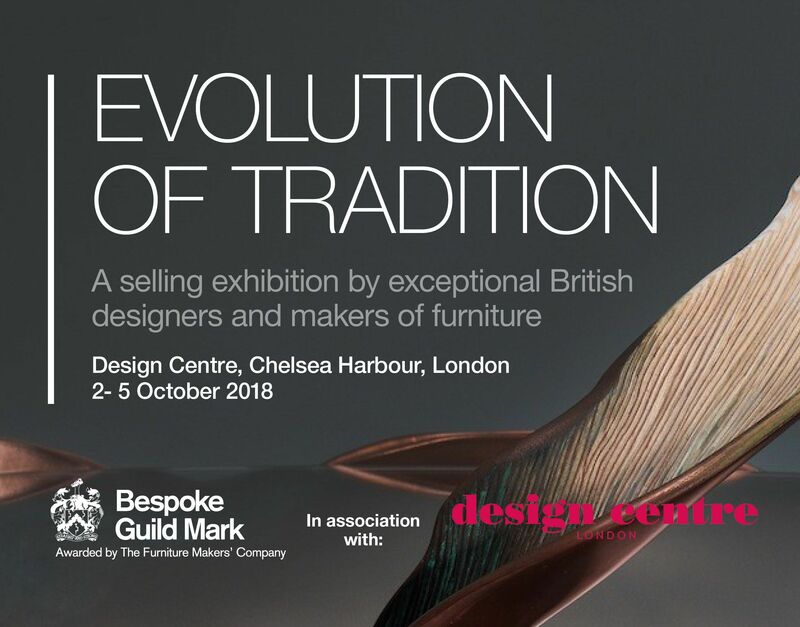 Evolution of Tradition – to take place from 2-5 October 2018 – will feature exclusive designs purely from Bespoke Guild Mark holders and is being organised by The Furniture Makers’ Company and Design Centre, Chelsea Harbour. The Bespoke Guild Mark, awarded by The Furniture Makers’ Company, is the ultimate accolade for designer-makers, rewarding excellence in design, materials, craftsmanship and function for exquisite pieces of furniture. An impressive rollcall of established designer-makers and new talent from the vibrant British craft scene will be exhibiting at the show, including Matthew Burt, Byron & Gómez, Jonathan Field, Marc Fish, Tim Gosling, Alun Heslop, Edward Johnson, John Makepeace OBE, Rupert McBain, Laurent Peacock, Jake Phipps, Angus Ross, Rupert Senior, Katie Walker and Waywood. View the event in the TTF Industry Calendar.